Built in 2015 by Onni Group, The Yards at Fort York stand 28 storeys high with 410 suites. Conveniently located in the Liberty Village - Niagara community at Iannuzzi Street and Bruyeres Mews, The Yards at Fort York is at 20 Bruyeres Mews, Toronto. 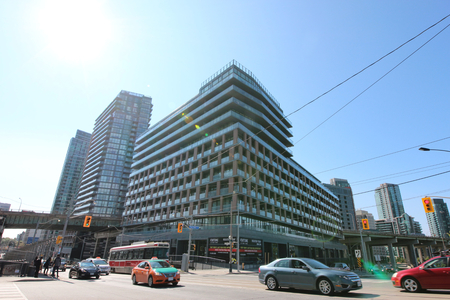 Click here for Real-Time listings, floor plans, amenities, prices for sale and rent in The Yards at Fort York, updated daily.